Inspired by a meeting that took place at the Maker Faire Paris 2016, Project DOT is a collaboration between multiple experts and companies active in the 3D printing sector.Printing materials from Armor 3D , DOM Pro 3D printers from Dood, electronic components from Sector and design by Bold Design have all been combined to develop customisable and WiFi Bluetooth speakers. Created at Ateliers TechShop Leroy Merlin located in Ivry-sur-Seine, the OWA Bluetooth speaker is the brainchild of the designers William Boujon and Julien Benayoun of the French studio Bold Design. 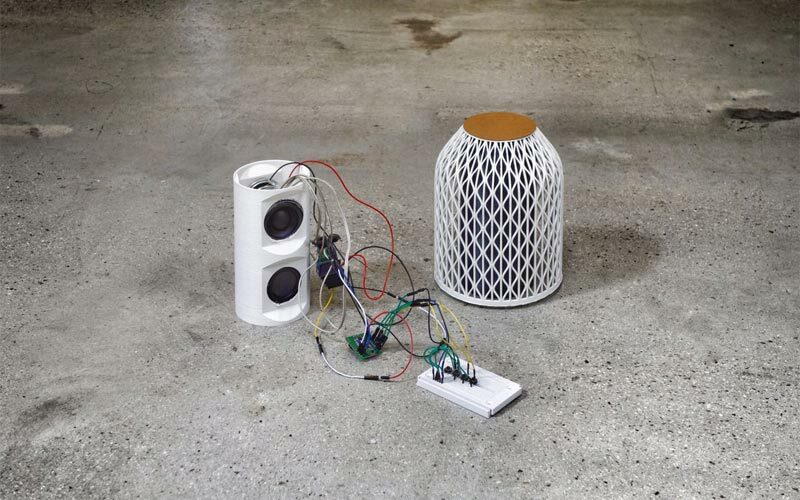 The project is focussed on developing a system of innovative 3D printed speakers using the technique of fused deposition. 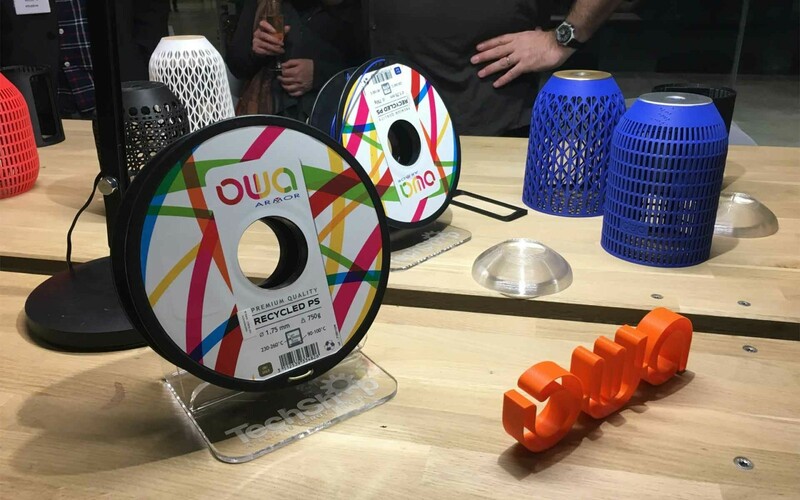 Each speaker has a 3D printed dome using OWA PS filaments from Armor 3D.The domes are available in numerous forms, patterns and colours and are interchangeable, with multiple customisation options at the heart of the concept. The speakers also re-invent the relationship between user and object, by offering a mechanical function via an ON/OFF switch and a volume adjustment system by rotating the dome. Other technical elements are also 3D printed, such as the body of the speaker housing the amplifiers and electronics. Its design makes this speaker a totally unique product on the market, much closer to a decorative object than the traditional speaker. A campaign led by Kickstarter will be launched on 9 January with the production of a restricted number of speakers, and the project will be presented at CES 2018 in Las Vegas on 9-12 January. The project launch evening took place yesterday at Station F in order to present the speaker and the challenges faced by this collaborative initiative. Would you like to receive further information about this project? Please do not hesitate to forward your questions to us at contact@kimya.fr.